I won’t pretend I know much about modern hip-hop, because I don’t. That means that this review may read like its been written by my 60 year old, hearing impaired father, but whatever. When I listen to a rap album I’m looking for something that holds my attention and keeps me interested. For me, the only album that I feel has done that so far in 2013 is ‘Yeezus’, mainly because of its production and frequently bizarre nature. ‘Doris’ did to some extent, but I still can’t quite wrap my head around it. Earl Sweatshirt is the latest of artists from Odd Future to try and sell big with their debut LP, alongside label mate Tyler, The Creator, and there’s no denying it’s a relatively solid album capable of making Sweatshirt a big name, even though some might already say he is. ‘Doris’ is far from perfect, and isn’t quite brilliant, but personally, I preferred it to ‘Wolf’, which came out earlier this year. 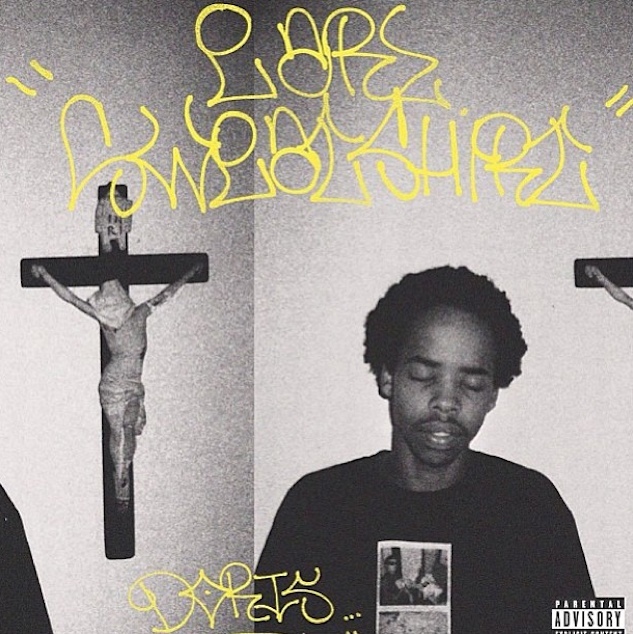 As is expected of an Odd Future release ‘Doris’ is a mixed bag, which is more weird than traditional. This isn’t a bad thing, as it’s a testament to an artists quality to hear them making use of strangely crafted beats like those on ’20 Wave Caps’. The production is never over the top or overshadows Sweatshirt’s rapping. It merely serves as a soundtrack, and allows Sweatshirt to take centre stage, which didn’t always happen on albums like ‘Yeezus’ and ‘Magna Carta Holy Grail’; the two heavyweight releases of 2013. However, the production does give ‘Doris’ its inconsistency, which is my main issue with the release. The album doesn’t necessarily flow properly, lacking cohesion, and it loses some of its impact as a result. It allows ‘Doris’ to be dissected and for some tracks to take preference, but listening to it as a a whole is uneven. Sweatshirt’s rapping is tight, and on par with his competitors, remaining clever and varied. It probably won’t be anything you haven’t heard before, but that doesn’t mean it’s bad. Sweatshirt is at his best when he’s fitting in lines that normally wouldn’t work over the beat behind them, similarly to Tyler, The Creator. Subtle lines and well implemented sound effects give the album it’s sense of individuality, and showcases Sweatshirt’s talent, like on ‘Chum’, one of the better tracks, despite its final minute being a filler. Sweatshirt never comes across as overly aggressive or boastful, but remains intelligent in his delivery, rarely succumbing to bragging to make himself look good in the way a lot of modern rappers do. Instead he tells stories about his childhood and other past experiences using poetry and free flow equally; showing his range and creativity. The numerous guest appearance that ‘Doris’ contains are good, despite not always making full use of the talent provided, especially on ‘Sunday’ which contains Frank Ocean, who doesn’t really bring anything, or utilise his excellent voice.The most memorable features are from those similar to Sweatshirt, primarily Tyler, The Creator on ‘Sasquatch’ who supplies one of the albums better verses, and makes it one of the stronger tracks. The two work well together and the partnership is equally entertaining across a number of tracks, with other rappers (Vincent Staples, Domo Genesis) also contributing. It’s hard for me to review rap albums, especially if I like the album, and I like ‘Doris’. It has its standout moments and weaker moments, but ultimately it’s a forward thinking modern rap album that packs a punch (‘Uncle Al’). It might not be the years best but it proves Earl Sweatshirt is deserving of the attention he hoped to draw with his debut album.